The crew, auto mechanics, and all of us here at Jefferson Auto Repair would like to wish everyone a wonderful Restoration Day to all Dominicans around the world. Dominicans know that this is an important holiday. On this day, August 16th, 1863, the Dominican Republic became free. In fact, to celebrate this important day, last Sunday was the “Desfile Dominicano de Nueva York” 2017, Dominican Parade of New York 2017. Dominicans celebrate the “Día de la Restauración” (the Restoration of Dominican Independence), which was proclaimed with the “Guerra de Restauración” (Restoration War). If you don’t know who to go to get your tires checked, then come to Jefferson Auto Repair in West Orange, NJ. They will make sure that your tires are fully up to date. 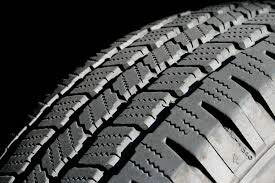 You also what to make sure that you get your tires checked because during the summer, it’s common for temperatures to reach a 100 degrees or more which could have adverse affects on your tires. Meet Yngrid, she is our great and wonderful Customer Service Representative. Yngrid will help you with anything that you need. She will help in scheduling an appointment with one of our auto repair mechanics and even help you with a cup of coffee. When she talks to you she will give you a nice smile to make your day special. She has been working at Jefferson Auto Repair for over a year. She loves working with people and also helping out with the customers. 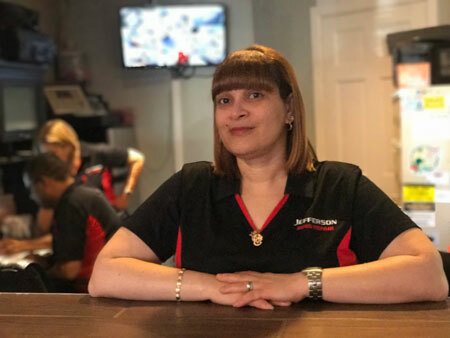 Yngrid does so much for the auto repair mechanics at Jefferson Auto Repair because she makes sure that they get a lot of customers to come into their business and also make sure that they all get the right kind of service, as well. By the way, Yngrid is bi-lingual. She speaks English as well as Spanish. 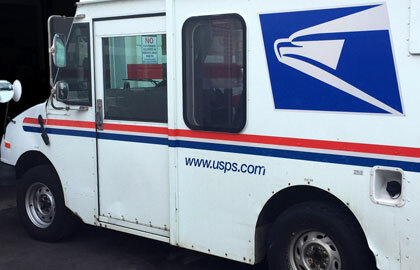 Jefferson Auto Repair works on and conducts auto repair services for the United States Postal Service (USPS) fleet vehicles. If you need any help with any type of fleet vehicles, then come to Jefferson Auto Repair. They will look your fleet vehicles and determine if there is anything needing repair. Jefferson Auto Repair will have the fuel system in your vehicle all cleaned to make sure that there is no dirt, carbon, and even gunk in your vehicle. Cause all these things can cause build-up in the vehicle's fuel system. And when these things cause all sorts of different problems for your vehicle they can prevent the fuel from flowing freely throw the vehicle's system. Read more: Do you need fleet vehicles repaired? Then, come to Jefferson Auto Repair. If you need any auto repair done for your car, then look no farther than the auto mechanics at Jefferson Auto Repair. They will make sure to take their time to look at what’s the problem with your car. And they will even make sure that your car will run without any type of auto repair problems. Customers have been coming to Jefferson Auto Repair in West Orange, NJ because they have been servicing the community for over 20 years.